Suitable for eating. Ready to harvest when skin changes color. 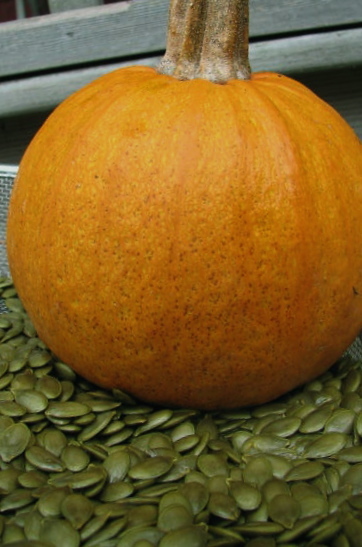 Johnny�s Selected Seeds developed this novelty mini-pumpkin that received a 1993 All America Award. 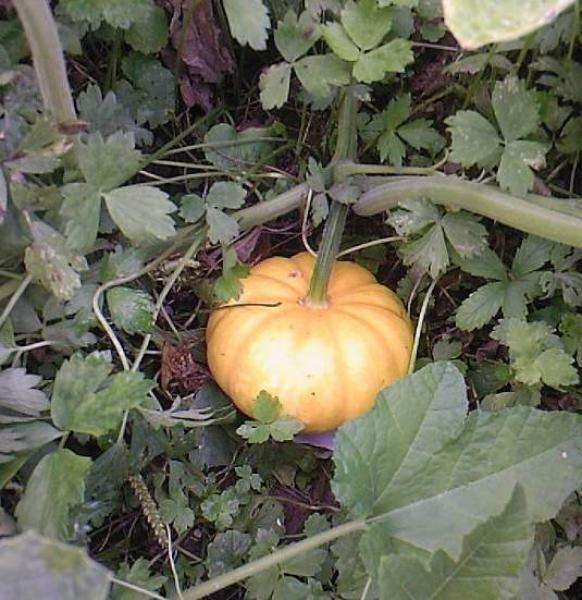 It�s small with a deep orange color and long, sturdy stem. Weighing less than 2 lbs. 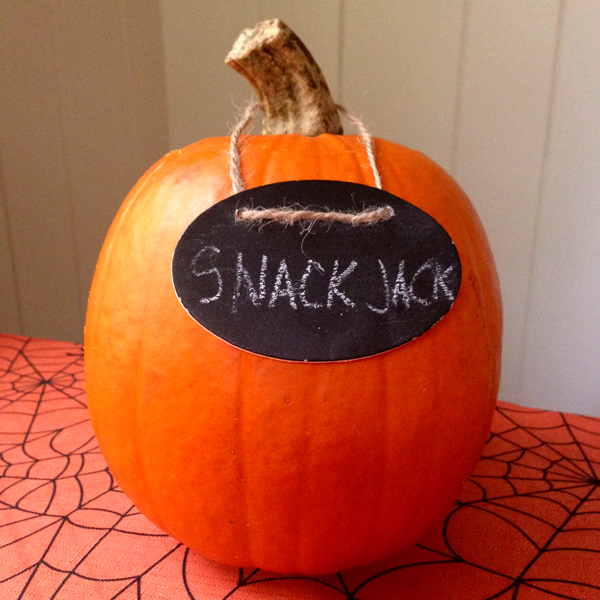 and averaging 5� in diameter, it�s appealing to kids of all ages who like to make jack-o-lanterns. 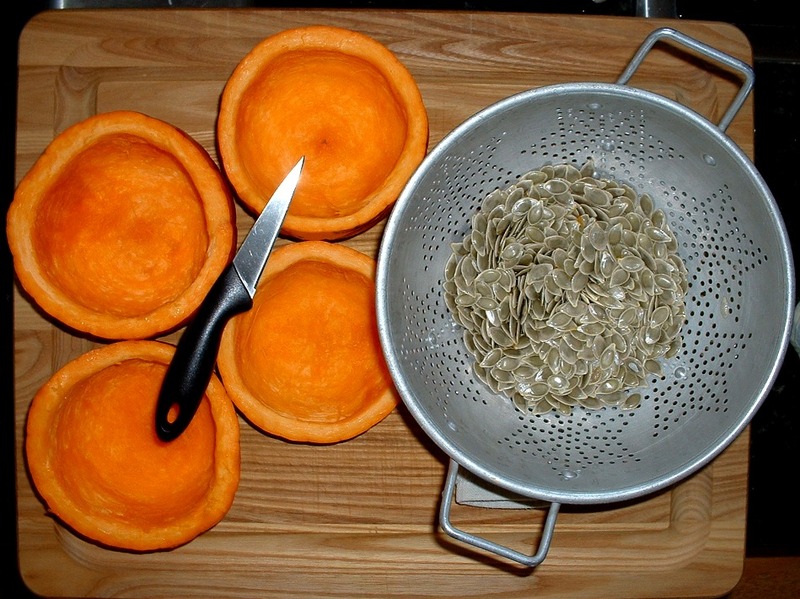 The semi-hulless seeds are great for roasting and the flesh, when baked, is moist and flavorful. The vines are shorter than other varieties, but each plant produces 8-10 fruits. Long handles and just the right size for little hands. 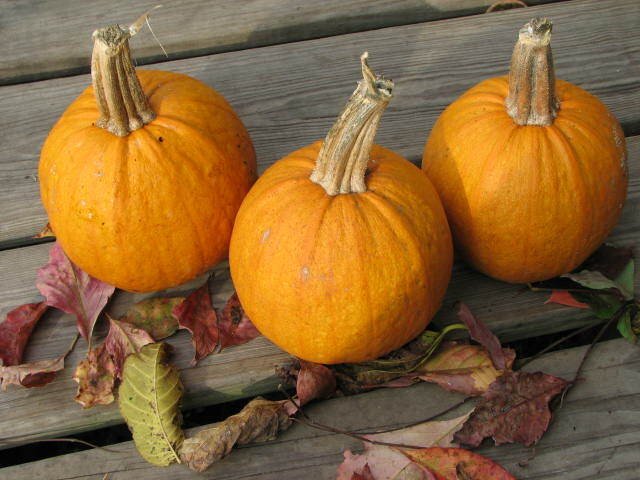 This pumpkin is excellent to use for an individual "pumpkin bowl" to serve soups, stews and chili. 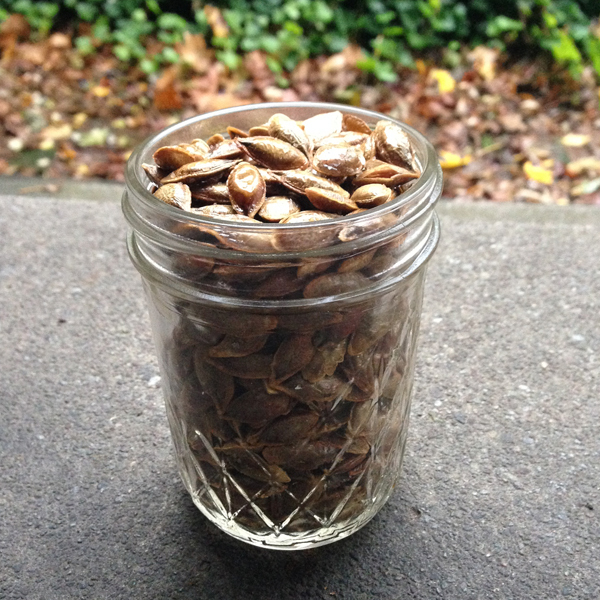 The seeds are semi-hull-less and are excellent roasted. 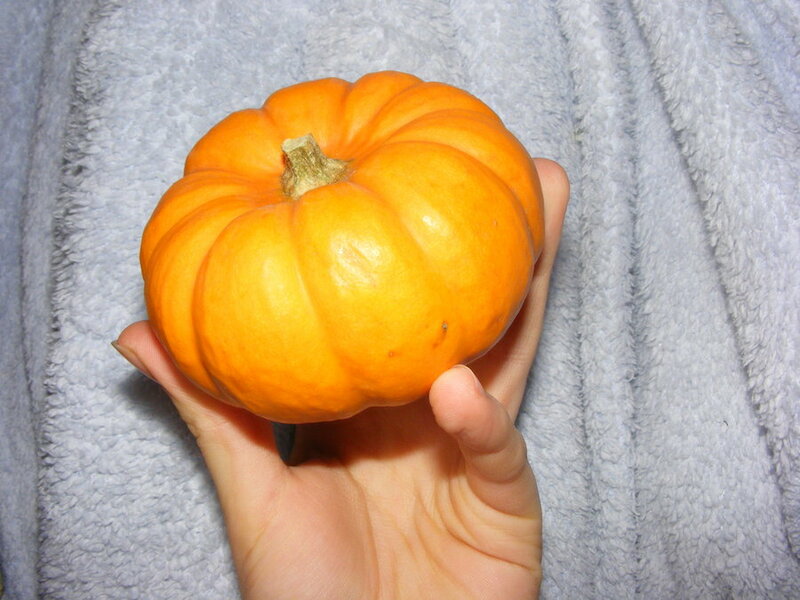 Description: Mini pumpkin, pleasantly sweet with a chestnut flavor. productive (8 to 20 fruits per foot), needs space. Growth: 95 days. Very small fruits (similar to the Jack be little variety), 5 to 8 cm in diameter and orange in color. 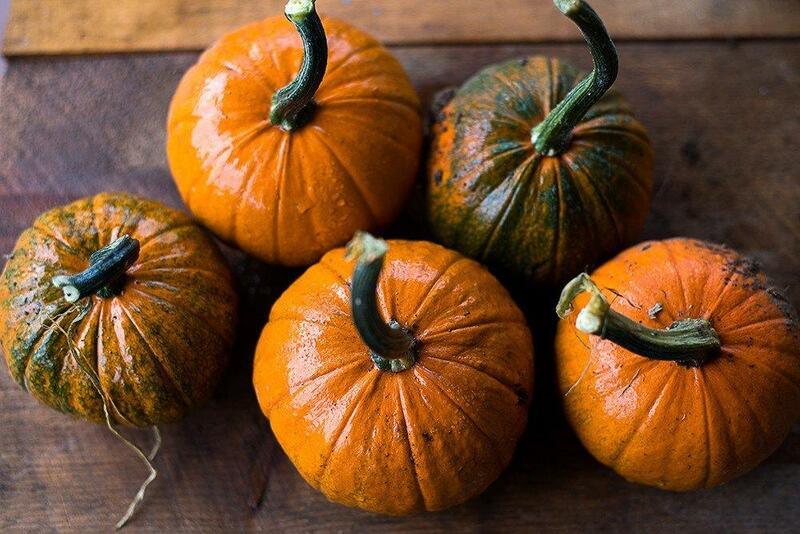 Orange-yellow flesh, firm and sweet. Very good storage capacity of more than a year. Very good productivity. Each plant can produce from 6 to 15 fruits from 100 to 150 grams. The fruits are often used for decoration, in the company of colocynths. Variety ideal for carving, digging and putting small candles. Can also be stuffed. Growth: 95 days. This variety, originally from the USA, was developed by Harris Moran seed Seeds. 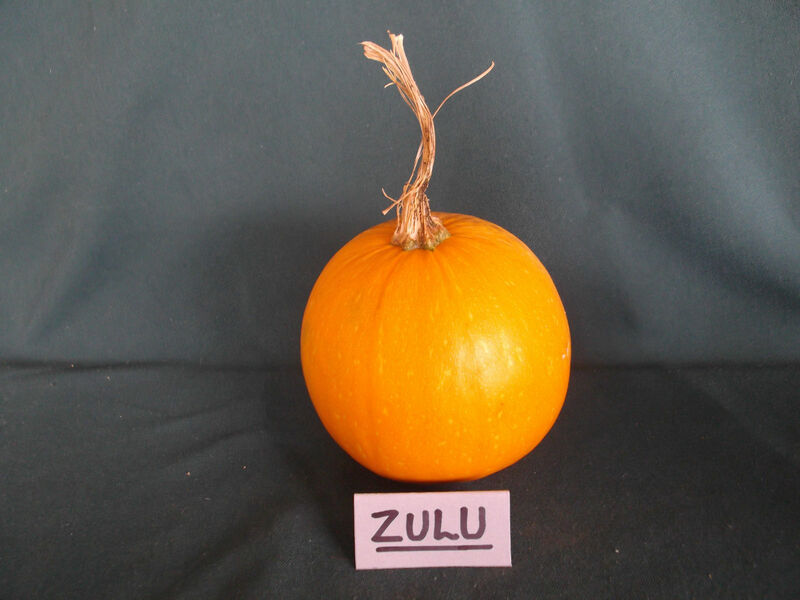 Zulu is a pumpkin variety that originates from the eastern side of South Africa in the area around the Drakenburg Mountains. The fruit is round or slightly elongated with a slightly flattened top and bottom and smooth dark green rind that matures into a bright yellow colour. The medium length, thin vines produce fruit up to about 2.5kg in around 95 days. Inside, the flesh is a mid yellow colour, firm, dry, thick walled and mild to medium sweet. The rind is very thin but becomes very hard, which would make it a great long keeper. 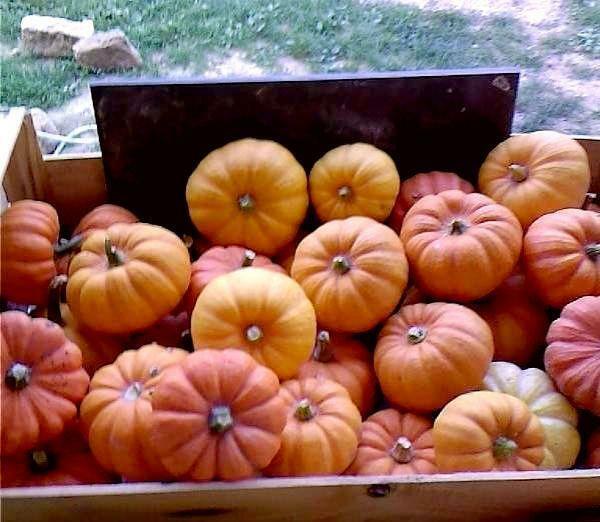 Little pumpkins, 1-2 1/2 lbs on compact bush plants. 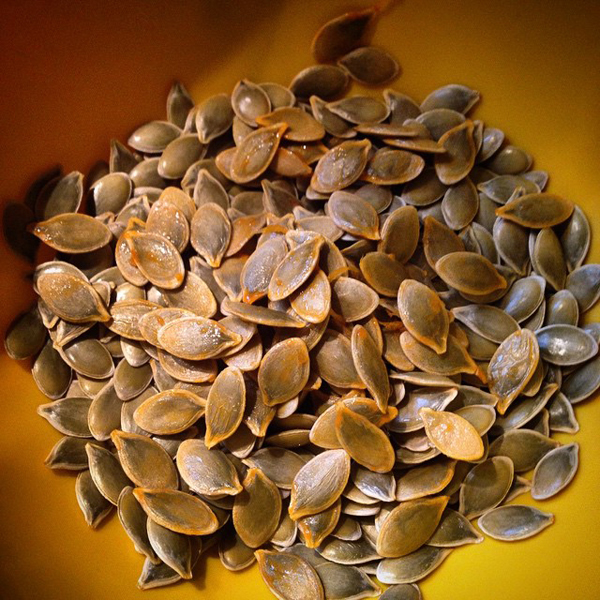 Orange fruit produce hulless seeds, that are great roasted as a snack. 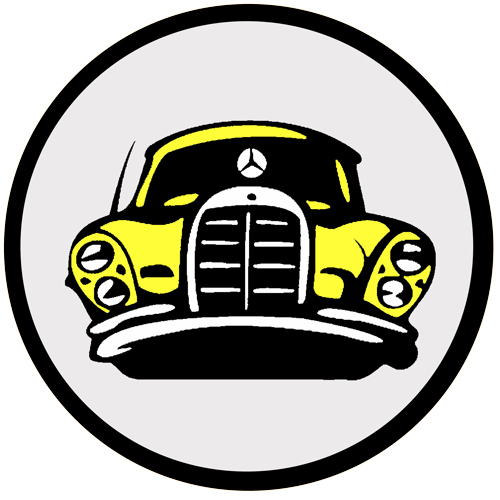 Mature in 100 days. 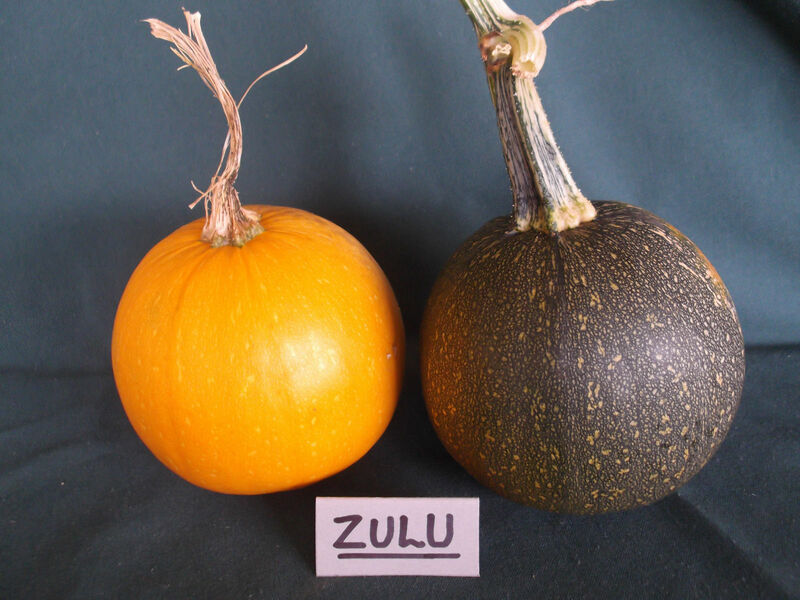 There is a great variety in shapes, colors and types of squash, making them fun to grow. Seedlings should be gradually hardened off. Plants prefer rich, compost enriched soil. They will cross pollinate within their species. After harvest they should be ripened for 30 days in a cool location. Important Info: The vines need plenty of room to sprawl, although some can be supported on a trellis. 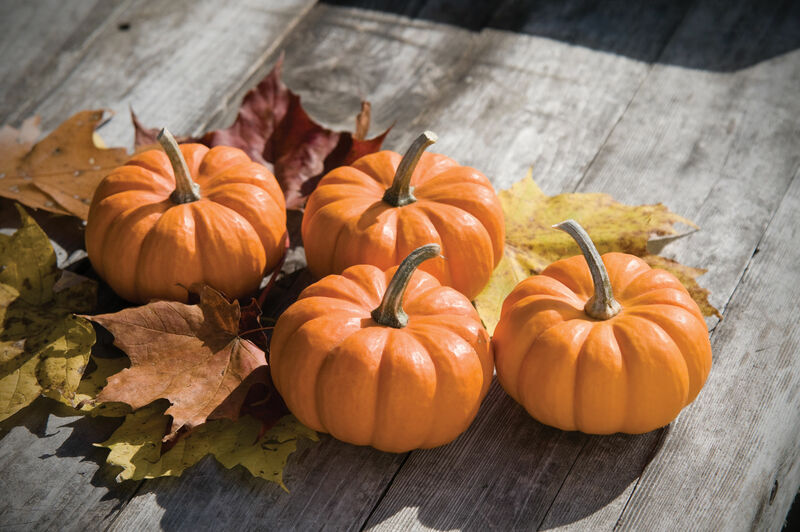 Summer squash or pumpkins should be sown indoors in flats in short season areas, 3-4 weeks before the night soil temperatures have warmed up. 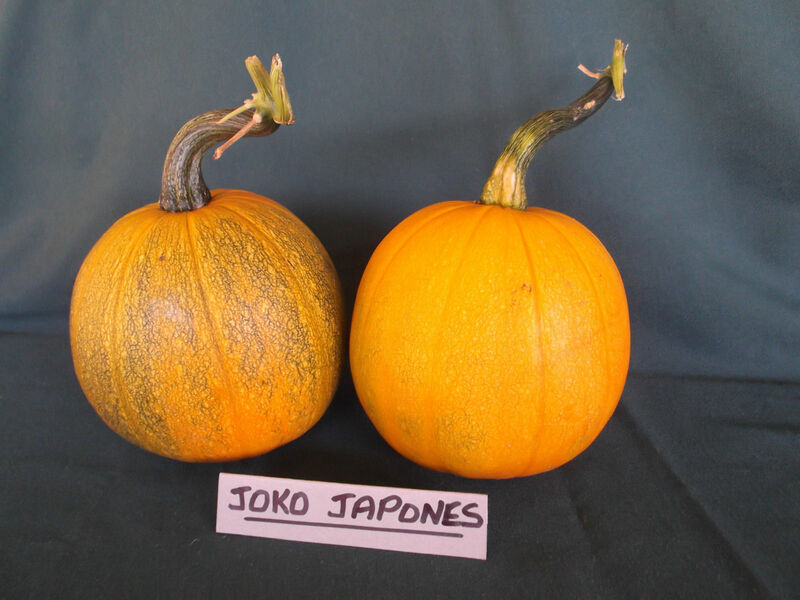 Joko Japones is an heirloom pumpkin variety from Bolivia. The fruit is small, round to slightly elongated, with a smooth rind that starts out green and matures into a strong orange colour. Growth wise, the small vines are prolific producers of fruit ranging from 0.5kg to 1.5kg in a very quick 85 days. Inside, the mellow yellow coloured flesh is firm, moist, medium sweet and tasty. The rind is very thin, but quickly becomes rock hard which would make them a great keeper. 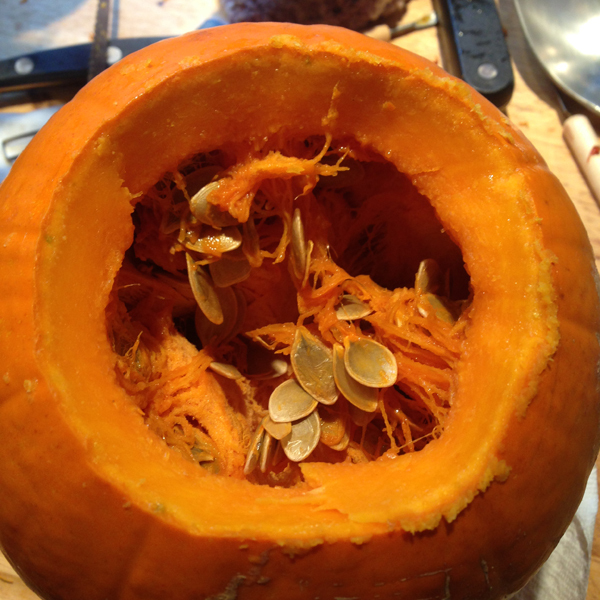 Vining Pumpkin- Naked Seed. 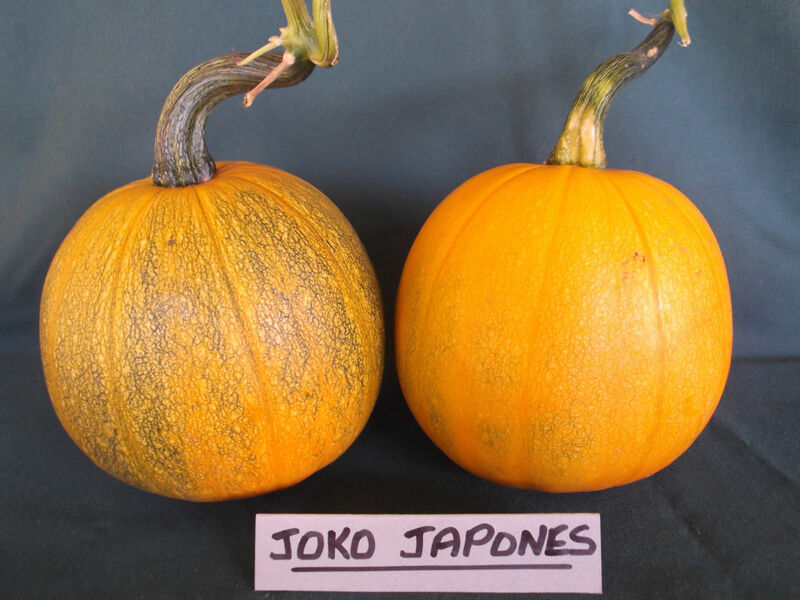 This Styrian-type pumpkin was bred for early yields of small, decorative halloween pumpkins and good quality dark green, naked seed. The fruit is solid orange with some variation in size and shape. The median is round with slight ribbing and usually 6-8" in diameter. 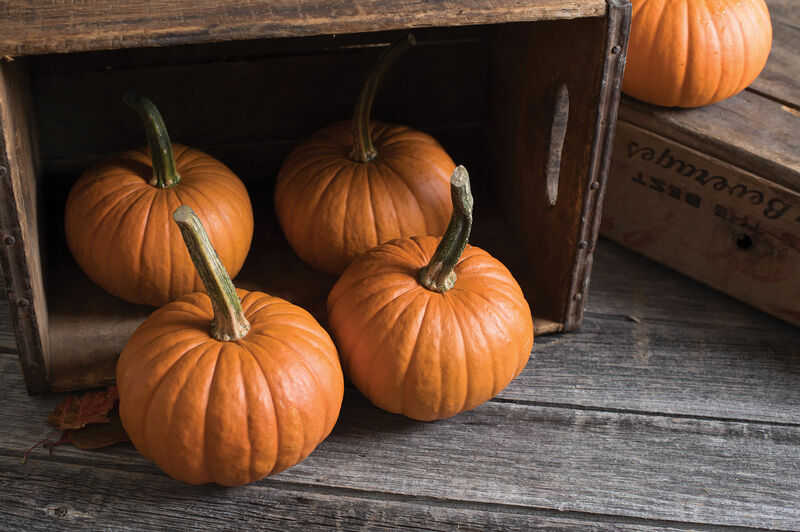 The pumpkins ripen early but can remain in the field for an extended amount of time. 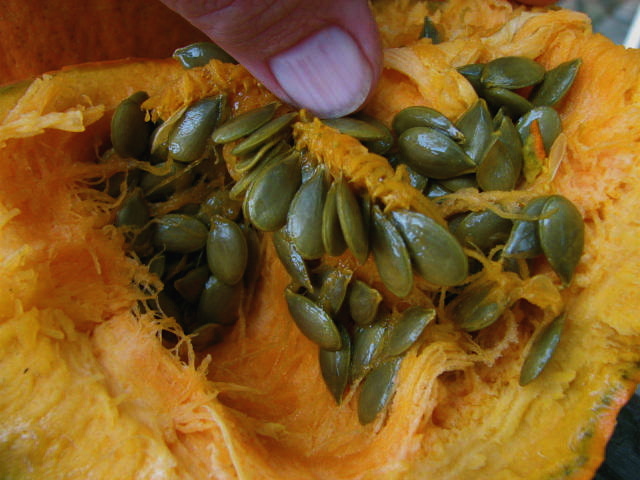 Little Greenseed produces tasty, shell-less seeds which can be eaten right out of the ripe pumpkin or lightly skillet toasted for a minute or so for an exceptional treat. 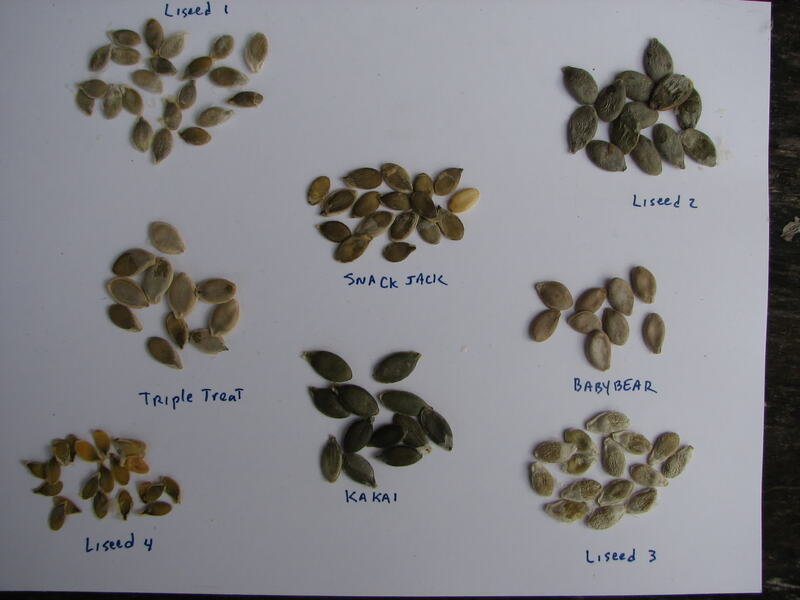 Little Greenseed is one of the earliest naked seed pumpkins and it also ranks high in seed productivity and number of fruits per plant. The vines are mostly restrained. 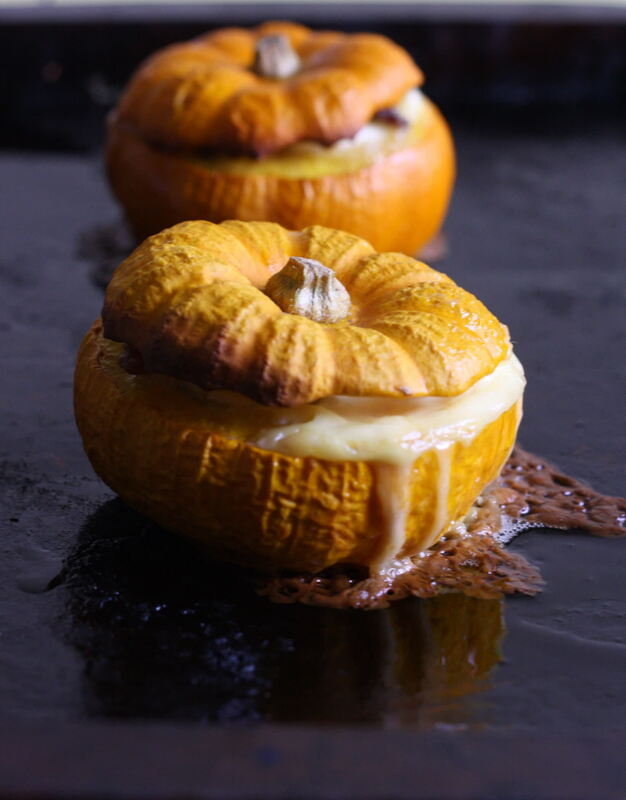 The thicker fleshed pumpkins can be baked and used like an acorn squash since Baby Pam is in the pedigree. 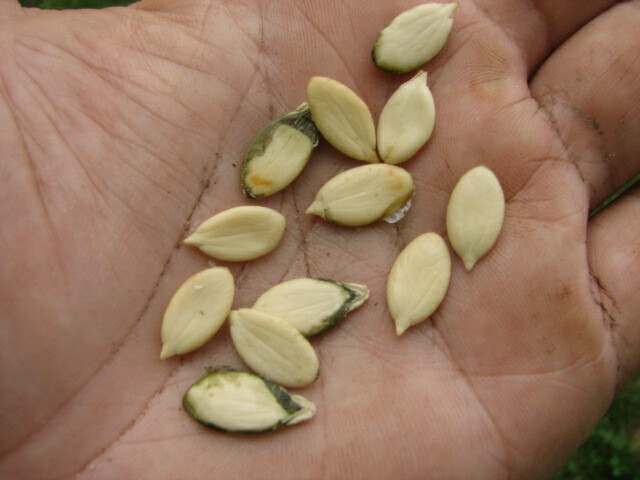 Little Greenseed produces pumpkins with variation and favorable characteristics that farmer breeders can use to make their own unique selections. 90 days.